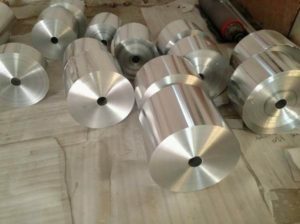 8011 aluminum foil lids, with one side bright and one side dull for keeping sealing, is a typical product of cap stock grade aluminum alloy used for milk sealing Foil, haomei aluminium manufacture this material with guaranteed chemical components and mechanical properties under a professional production system. 2. Pinhole no is below zero. haomie aluminium, equipped with advanced equipment and technology, is one of the leading mingtai good quality 8011 hot sealing aluminum foil lids for yogurt milk drink selling well all over the world manufacturers and suppliers in China, taking Canada as its main market. Please rest assured to buy or wholesale the quality, durable and customized products at low price from our factory.